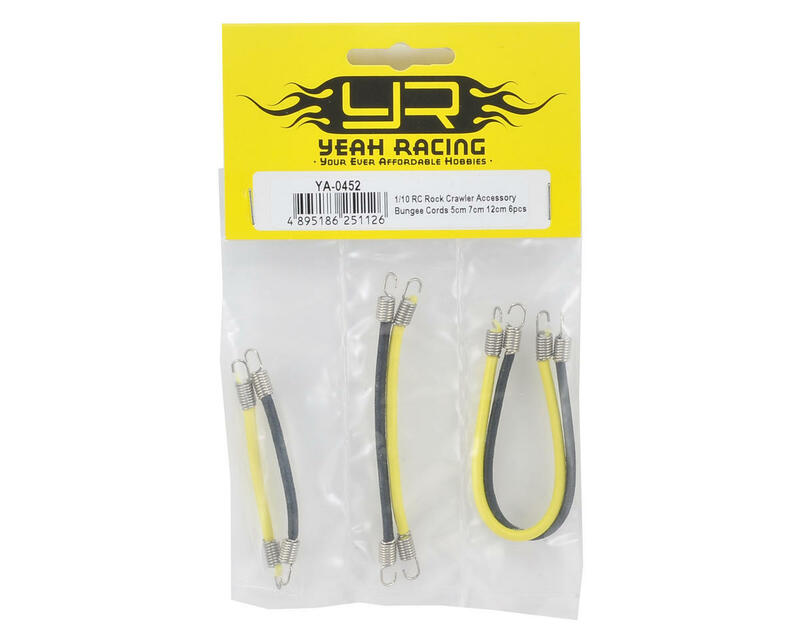 Strap down your scale accessories with this Yeah Racing Bungee Cord Set. 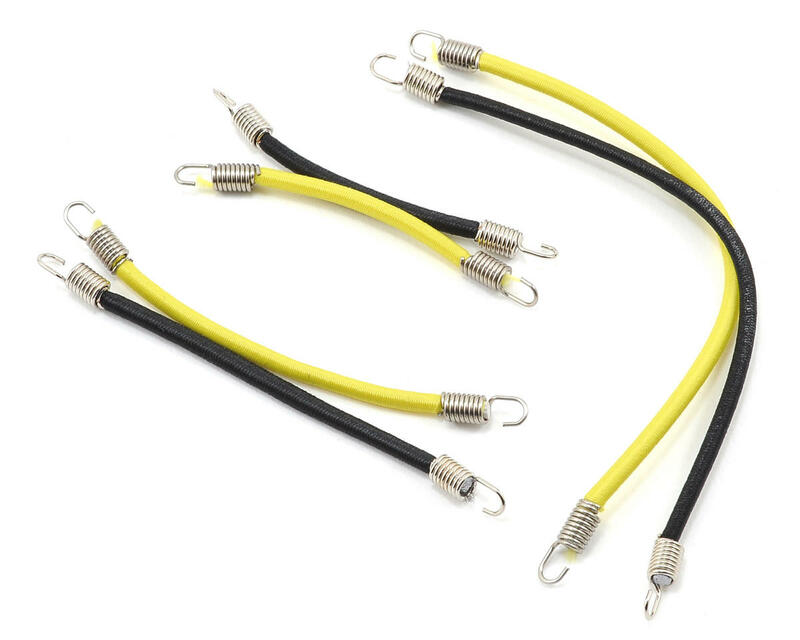 Included are three different lengths of bungee's, with two bungee's in each size, to suit all sorts of roof racks and applications. They're also made from flexible material so the rope won't damage any items they're strapped to.